Good fences make good neighbors. However, adding a fence may strain an already limited family budget. Using your creativity, combined with research and a little hard work, you may discover that an aesthetically appealing, durable fence is not out of your financial reach. The cheapest fences result from using cheap materials that you can install yourself. Some materials that will not break the bank are those that occur naturally, recycled materials and manufactured materials that require the least amount of labor. 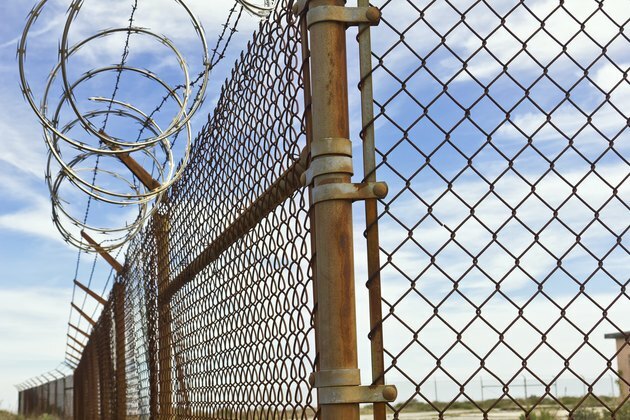 There are cheap alternatives to chain link fences. Native shrubs are cheap fencing materials. 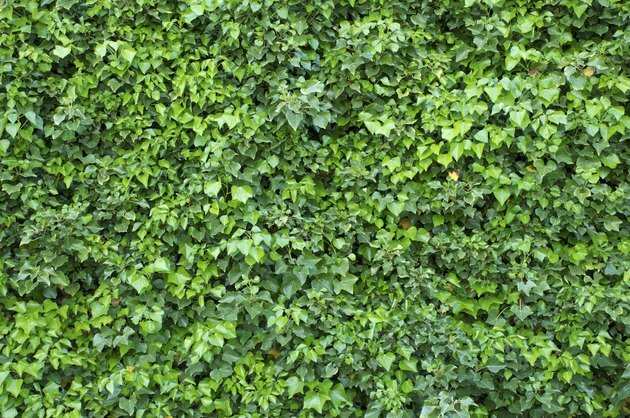 Using hedges for fences is not new; their use dates back to the sixteenth century. Rows of bushes of the same species make good fences, as well as offering protection from soil erosion. Planting shrubs takes a lot of effort. You will need to research native plants---to find the best option, and determine the final, mature size of the plant---to decide the number needed for your space. Your local nursery is the best resource for this information. The fence will not appear overnight, so find fast growing plants that fill in the area, quickly. Save work and water by planting during the rainy season. You will need to set aside time on weekends for general maintenance of your "fence," but it will last a lifetime. Plastic bottles can be reused as fencing material. Rusted iron fence pieces with native creeping vines planted below the pickets create a low- maintenance, durable fence. According to Greenspace Education Project, kids can construct a greenhouse from two liter plastic bottles, using minimum supervision. The structure used for the walls could easily be used for making a fence. You also can use free, discarded wood pallets for fencing material. Assemble the pallets using hammer and nails. You may treat or paint the pallets as desired, but Clay Sawyer of "Backwoods Magazine" suggests using a preservative on the "dirt bound ends" of the pallet. According to Mr. Sawyer, a well-built pallet fence will match any expensive fence in both strength and appearance. You need specialized tools to install a chain link fence. 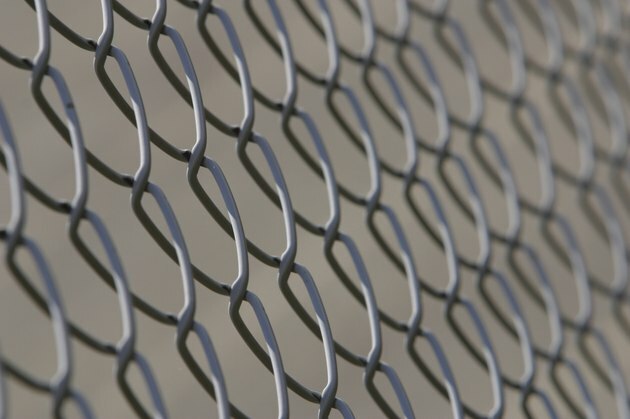 Vinyl coated wire mesh is the cheapest and yet most durable of wire fencing. You can install it yourself using a staple gun, and it costs less than vinyl fabric fences, although not as aesthetically appealing or durable. The product will eventually rust despite the vinyl coating. Chained link fencing material is cheap, but the fence is expensive to install. You can install it yourself, but you will need specialized tools. Repairs can be costly. "Build a Fence Cheap" considers a chain link fencing material no more aesthetically appealing or durable than the vinyl coated wire mesh material.